ICYMI, Orange is the New Black’s Samira Wiley has been in the news a lot lately, and for all the right reasons. 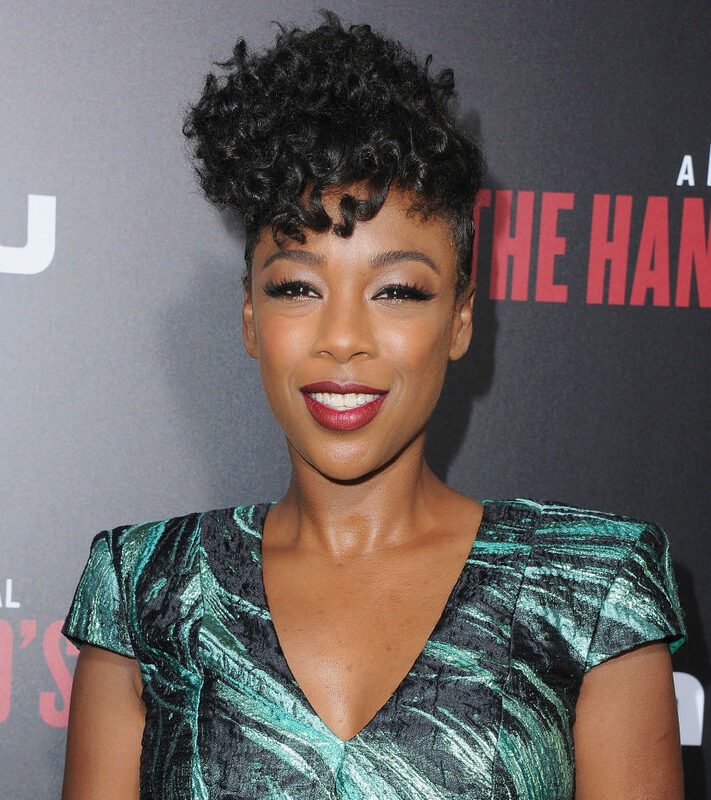 Now, we so need Samira Wiley’s structured floral cocktail dress to become a trend. Of course, Wiley’s wedding dress made headlines back in March, as PopSugar reported. As you know, Wiley married OITNB writer Lauren Morelli, and the couple is THE CUTEST. 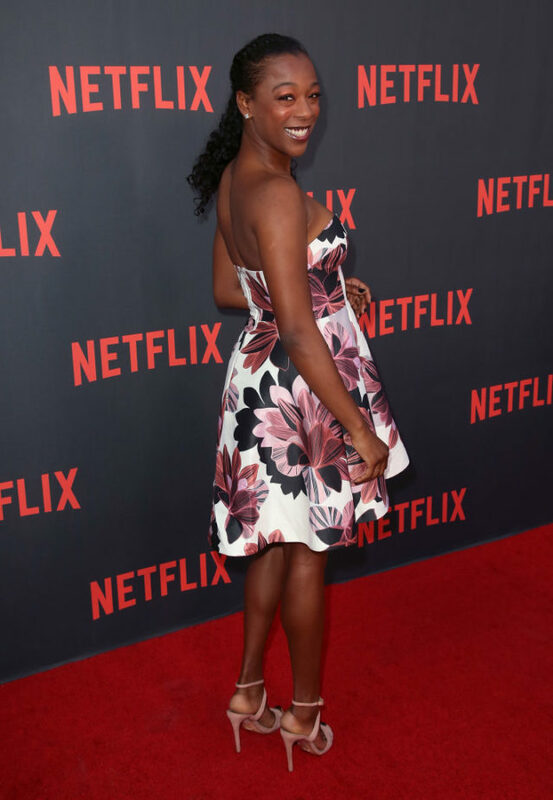 Now, however, Wiley wooed us with a fun floral print that she wore to Netflix’s OITNB For Your Consideration event at the Saban Media Center on May 5th in North Hollywood, California. Here are the flowers we can’t get enough of. Riiiight?! 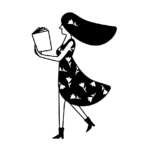 And here’s a look at the back of the dress, too. Of course, Wiley’s fellow OITNB cast members were also at the event. 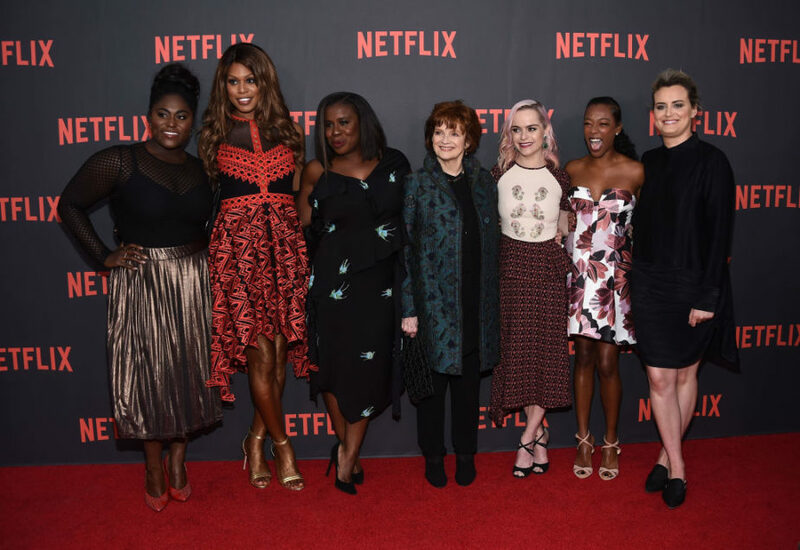 Here’s Wiley with Danielle Brooks, Laverne Cox, Uzo Aduba, Blair Brown, Taryn Manning, and Taylor Schilling. 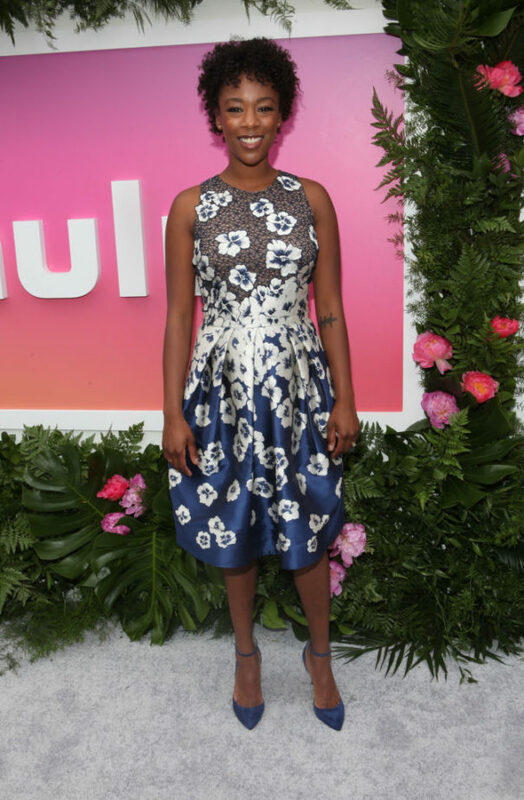 And even before the May 5th event, Wiley was into floral patterns, like at the Hulu Upfront on May 3rd in New York City. No complaints here! Wiley obvs crushed it again with her fashion sense! ICYMI, Wiley stars in the new Hulu series, The Handmaid’s Tale. Here’s Wiley with Morelli at the premiere at ArcLight Cinemas Cinerama Dome on April 25th in Hollywood, California. We love to love this pair! As for The Handmaid’s Tale, Elisabeth Moss and Alexis Bledel also star in the series, and we are HOOKED. If you haven’t watched the show yet, do so STAT. In case you’re curious, yup, it’s based on Margaret Atwood’s 1985 dystopian novel of the same name.